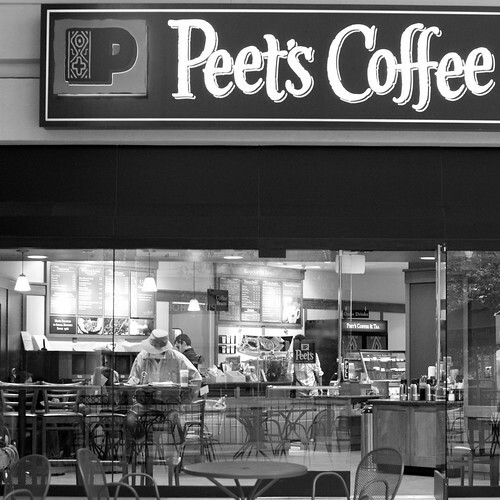 Where 88 Caribous now stand, Peet’s will rise. Minnesota-based Caribou Coffee is closing 80 stores nationwide, and re-branding another 88 as Peet’s Coffee. The 80 stores, labeled as under-performing, will be shuttered April 14. At this point the locations of those stores have not been identified, and it is unclear whether any of them are in Minnesota or western Wisconsin. The 88 locations that will be re-branded are located across Ohio, Michigan, Pennsylvania, Washington D.C., Maryland, Virginia, Georgia, Illinois and Eastern Wisconsin. They will be converted to Peet’s Coffee & Tea locations over the next 12 to 18 months. Alfred Peet, who moved to the U.S. from Holland after World War II, opened his first coffee shop in Berkeley, California in 1966. His motivation? Disgust with the lousy coffee he found across the land. Peet’s can take some credit for spawning Starbucks. The founders of Starbucks all knew Alfred Peet, and bought beans from him. I spent a lot of time and money in various Peet’s locations in the San Francisco Bay area, so here are my impressions, for those of you who’ve never been to one. The coffee is generally darker. Peet’s believes in longer roasting times. The pastries are better than what you get at Starbucks or Caribou. Peet’s seems to select higher-end pastry vendors. Wi-Fi is a pain. Stores I’ve hung out in require you to ask for a code from a barista, and your time online is capped before you have to ask for a new code. The vibe is funkier. Peet’s outlets seems less corporate than Starbucks or Caribou, even though they really aren’t. I will have a Peet’s Coffee (soon to be formerly Caribou) near my house in Illinois. Happy to hear about the darker roasted coffees and the funky vibe. I’ll check it out for sure sometime. I never liked Starbucks coffee because the darker roast tasted bitter to me and so I always went out of my way to avoid Starbucks coffee. I like a strong coffee made with beans that are not dark roasted. Apparently Starbucks realized that they were missing out on a whole market full of people who didn’t like their dark roast and so they recently introduced their “Blonde” roast. I also never liked their decor. Hard chairs and small tables that weren’t comfortable. I loved it when Caribou came to our neighborhood. I loved the decor, the coffee and sitting in a cozy seat near the fireplace on cold winter days. I hope that Peet’s doesn’t change that. Peet’s serves stronger, better coffee but it is not from darker roasts. Starbucks standard offerings (Pike Place, House, Verona, etc) are horridly overroasted, to the point of being undrinkable. It never ceases to amaze me how the entire planet gobbles it up. It’s awful. I lived in Berkeley when there was one Peet’s store, then two. When I moved to MN in 1988, I was not the only Bay Area transplant to have Peet’s coffee mailed to me–in those days, I think there were only three cafés that served espresso in all of the Twin Cities, and the coffee scene had not yet taken off. These days, I prefer Peace Coffee (local!) and their Wonderland Café, or any of a number of other local establishments. Despite fond memories, I see no reason to give my business to a chain. I was once a Peet’s barista myself and the OP’s comments generally ring true. Since becoming a barista and having spent a couple of fun years in one of their busiest stores (4th St, Berkeley) my taste in coffee has changed. I simply don’t find drip coffee satisfying, even Peet’s, and am only content with a nicely pulled espresso with milk. I drink espresso perhaps 2-3x a day now, but I never feel overly buzzed as a result. Wifi? Inconsistent and tricky, even with a Mac or iPad. Pastries? Can’t say about Starbuck’s, but I will say that their sources for croissants and morning pastries with certain types of dough are among the worst I’ve ever had. Awful. Their cookies and bars are good, as are the baked breads and such. Still, I rarely get baked goods at Peet’s because I’m a better baker myself. Funky vibe? Yah, it definitely doesn’t feel ‘corporate’ in the front of house, for sure–but believe me, the sense of corporate boss is always felt down to the assistant managerial level with increasing pressure on them to up sales. In that, they’re no different than any corporation, but they still somehow come across as ‘the little corporation that could’. A fantasy. Caribou coffee doesn’t offer breaks to its employees in Minnesota unless they work eight hours. I work there and when I asked my assistant manager about it he spoke with our district manager who said “it’s really not a focus of the company to provide breaks”. I think this policy makes McDonald’s coffee taste better than Caribou’s!